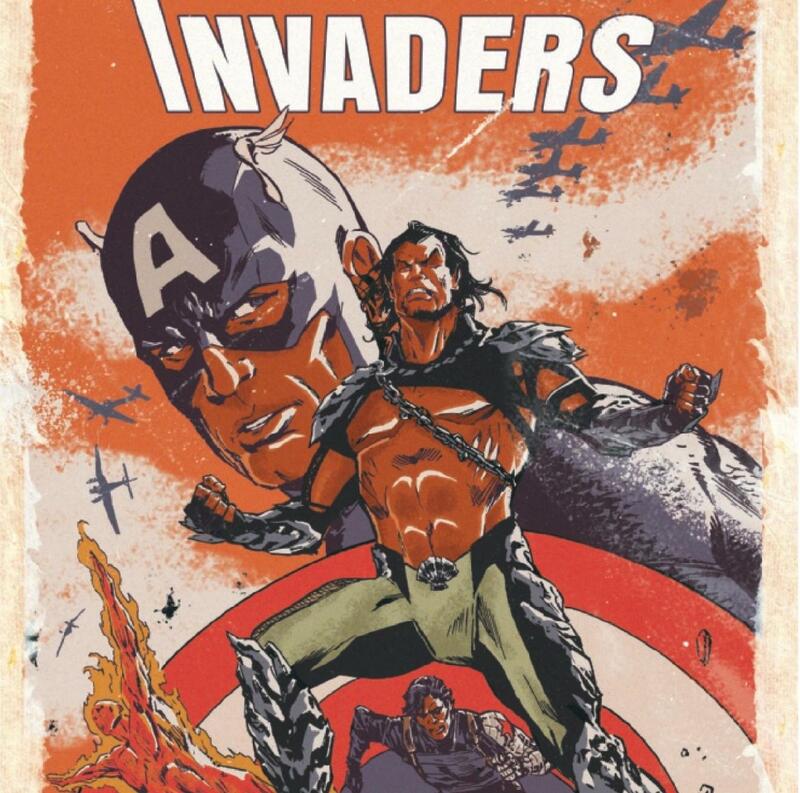 Featuring the creative team of Chip Zdarsky on writing duty, Carlos Mango and Butch Guice on art, and Alex Guimarães on coloring duty, Invaders #1 puts in the work in setting up a story that’s already feeling as epic as the characters that fill its pages. Bouncing between WWII flashbacks and their present day implications, this issue finds Namor seemingly at odds with surface world again. Hoping to find out the truth, his original team, featuring Captain America, Bucky Barnes, and the original Human Torch, Jim Hammond, make an begin to make an effort to piece together Namor’s history for the fate of the future. Now doesn’t that sound like one hell of a first issue? First and foremost I want to talk about the art. I’m not too familiar with the work of artists Carlos Magno and Butch Guice, and I’m honestly not too sure who did what here, but this book is damn good to look at. Specifically, the WWII flashbacks had an almost Sean Phillips-esque realistic quality to them and I found it to be a perfect fit for the era they’re trying to represent. I liked the art in the present day well enough, but if they keep up this quality of flashback sequence in future issues, it’ll stay a selling point for sure. Zdarsky does a great job at building the mystery here, even for those not completely caught up on the current Namor and Avengers titles. He does this with clean dialogue that fills in the gaps, and while having previous knowledge of the conflict would help, it will not at all damage your enjoy of the book to go in blind. The mystery of the overarching conflict is well crafted here, as I have no idea where this is going. Sometimes these classic character stories can be a little too iterative on what has come before, often leaving them too predictable to build a sustainable, multi-issue mystery. But, this really does feel big, at least on a character level. No, I’m not talking about Marvel’s need to make everything into an event, but just a big enough conflict for these legacy characters to be concerned about. Namor is often a difficult character to write, as he can be an absolutely intolerable brat under the wrong creative team, but Zdarsky is writing Namor to be the badass that he deserves to be. This so far seems to be a Namor-centic narrative that he’s constructing, so its fitting that we aren’t spending a majority of our time with a character we can’t sympathize with. Great start to what will hopefully be a great series of books, and coming off of his hugely successful Spider-Man run, it looks like Zdarsky is the right guy for the job.